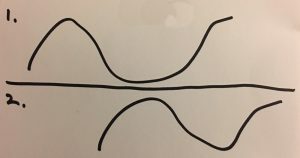 I’ve been getting a lot of inquiries lately about tuning PA’s, and along with the job inquiries have come questions from others about how to do it themselves. I have some random thoughts on this I’ll try and make cohesive. System tuning or optimizing or calibrating–depending on what “school” or manufacturer you come from–isn’t necessarily a complicated thing, but it’s not so simple, either. The goal–as I’ve been trained–is to get things sounding as close to the same throughout the listening area as possible. The truth of that, though, is a LOT of it comes down to the loudspeaker system design that’s in place to begin with AND the current state of the components. I mention the “current state” because a lot of times the systems I get hired to work on don’t need to be tuned, yet, because first they need to be fixed and sometimes they even need to be implemented differently. Once everything works, you can move on to optimizing the system. Now, I’ve had systems I tuned in an hour and others that took more than a day. It just depends on the complexity of the system as well as the way the components interact. Once you start adding fills and delays, it’s not just about EQ’ing the components. You also need to get them all aligned so everything works together in terms of level and phase. Plus, you also need to understand how all the components interact and affect each other. For example, I tuned a distributed PA recently that was a little more on the complicated side. For those who aren’t familiar, a distributed PA is when you have separate boxes throughout the space to provide coverage. This is sort of the opposite of arrayed cabinets where you have either clusters or vertical arrays positioned near the stage. With this particular PA, there was a ring of speakers at the front and a delay ring. So at first glance, the mains were basically an uncoupled array where the speakers are far enough apart so they kind of own their own zone eventually coming together in harmony. The thing about this setup, though, was I could tell from experience that those boxes were too close to be completely uncoupled. So while the mid’s and high’s of those boxes had their own zones, the lows overlapped. So why is this complicated? 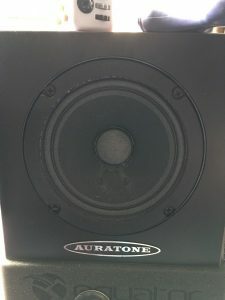 Because the tendency for a beginner would be to work on each of those main speakers independently, but when everything gets turned on the tonality of the system changes. Now, when you understand this, it’s actually not so difficult to contend with if your system processing is designed accordingly. In the case of that particular PA, the architecture of the DSP made things a little more challenging to dial in which really just added time. So how do you learn this stuff? There are articles floating around the web, and Bob McCarthy who is one of the guys I learned from also has a really thick book on the subject. My recommendation, though, is to get actual training. You can go to classes such as the design and optimization ones Meyer offers throughout the year. You can also go to a Smaart class which will teach you the ins and outs of their software. Another option would be to hire someone like me who’s experienced to come in and tune your PA and train you simultaneously. Here’s the thing about this, though. Some guys will probably disagree with me, but I’m just not sure it’s the best skill to learn for most church engineers. Well, let me re-phrase that: I think it’s good to understand how system tuning is done. The ability to evaluate your system’s current performance is a great skill to have, and you can get this from learning how it’s done. But if you’re working in the same install all the time, I think there are probably better places to focus your development like engineering and mixing for the weekend and not tuning PA’s. When I look at the current state of system tuning I see something that’s going to change quite a bit in the coming years. 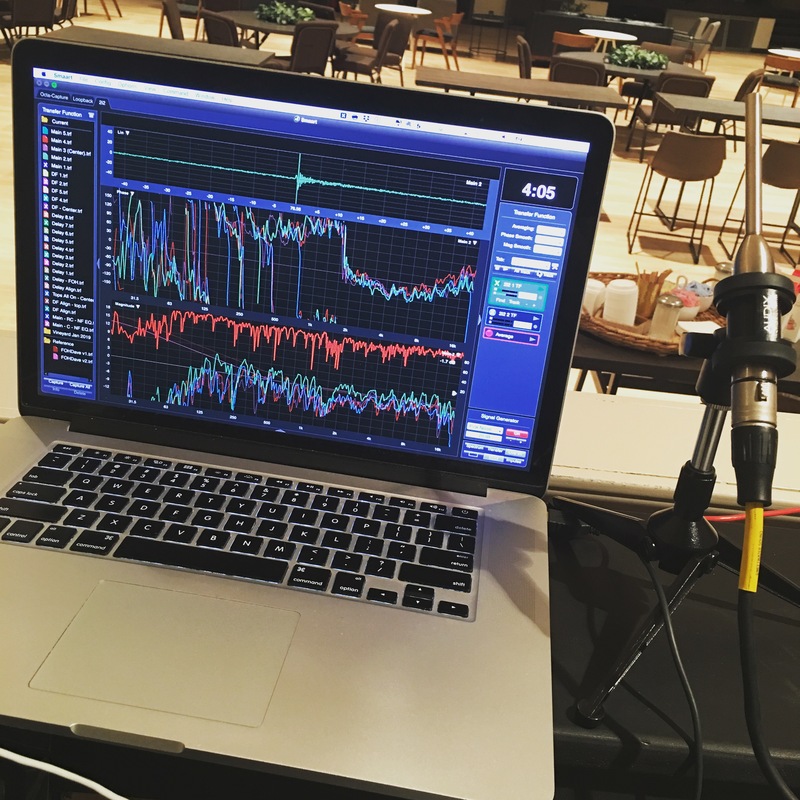 Over the last 5-10 years there has been an increasing amount of technology arriving relating to non-performance loudspeakers devoted to tuning and correcting those speakers. 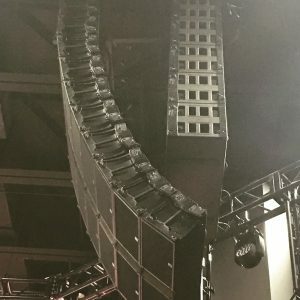 It’s in everything from home theater receivers to higher end studio monitors, and if you think PA manufacturers aren’t working on ways to make this happen so that their speakers sound much more consistent from venue to venue you’re crazy. We’re already seeing the beginning of this in adaptive systems and even some of the stuff like d&b’s array processing and Waves TRACT plug-in. Knowing how smart a lot of the guys at manufacturers are leaves no doubt in my mind that things will get more and more automated sooner than later. I don’t think system tuning and system techs are going to go away anytime soon because I don’t think we’re anywhere close to replacing everything with robots or drones or AI. However, I do think the nature of the role is going to change so I’m just not sure how valuable digging in on learning to tune systems is. A lot of the guys who ask really just want to know how to EQ their PA, and those skills are the same as what I use when mixing. On the system side we just have some measurement tools that can point us in the right direction to increase consistency and accuracy with the process. The decision process I use on where and how to EQ the system is the same as what I use while mixing, though. If there’s a difference it’s that the system side of things is sometimes handled with a bit more subtlety, although, that’s not always the case. If the system isn’t right, nothing is going to be right which was a big reason why I started learning how to do this years ago. However, once the system is right, you really shouldn’t need to touch it much. 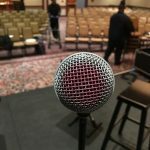 So if you’re not working on a lot of different systems in different venues where the system is changing regularly, you’re going to have a hard time developing your tuning skills. 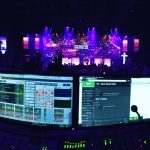 There is probably a baseline that is worth learning, but I think for most church engineers there are bigger areas to work on. 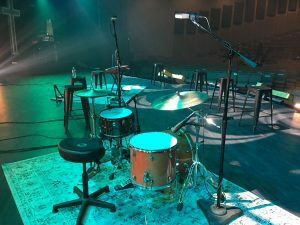 The thing that IS changing a lot every week is the mix as different players and songs and styles of songs and instrumentation come in and out throughout the year. Traveling the country and meeting so many engineers and volunteers in churches has only reinforced this idea for me. I do run into systems that could use a little love, and I’ll gladly share what I know when folks bring me in to give these systems a tune-up. However, I don’t believe this compares to the need for development on the weekly engineering and mixing side of things. So if you are ready to take your audio skills and your teams’ skills to the next level with personalized training and development, I’d love to chat. I’m starting to lock in dates for churches in the spring and summer now.